I thoroughly enjoyed the response to my Greyhawk zombie outbreak article last week, and I hope to do more articles tied to maps again. Anyhow, today I'd like to follow that up with some commentary on what I see as an intriguing theme within the setting, and that is the prevalence of undead in the Flanaess (nevermind the abundance of demons). Perhaps I've always known this but never really pondered it until I took the zombie apocalypse to an extreme and then combined that with a lich article I did recently. When you look across the breadth of Greyhawk canon, undead are everywhere. Iuz the Evil, City of Skulls, The Marklands: The Empire of Iuz is rife with typical orcs, goblins, ogres and yes demons, but the forefront of his battle lines is skeleton and zombie armies raised by his clerics. Iuz's symbol is a grinning skull, and his capital Dorakaa is "the City of Skulls", yet he is a demigod of evil, deceit and pain, not implicitly a death god. The fact he employs demons makes sense given his parentage, so mastery of the undead is something he must've learned on his own. Iuz's other necromantic feats include the unholy bone road, bone constructs like the Thassaloss and various magical skulls, wands and staves of necromancy used by his Boneheart henchmen. All this undeath in his culture makes me wonder why humanoids dare work for him. Ivid the Undying, From the Ashes, Greyhawk Wars, etc. : House Naelax were once known for treating with demons, but once Ivid was turned into an animus, the fractured Great Kingdom went total undead theme. Death Knights suddenly are part of the fabric of Aerdy's history as well, though they are created by a demon prince, Demogorgon, and not Orcus as you'd assume (some kind of demon-undead feedback loop). White Plume Mountain, Tomb of Horrors, Ravenloft, Crypt of Lyzandred the Mad, Vecna Lives, etc. : Liches as I've presented earlier are heavily invested in the Flanaess. Vecna and Acererak are the prime candidates, but others inhabit Oerth or once did such as Azalin the main rival of Strahd from Ravenloft and Dragotha the dracolich. They are everywhere in every corner of the Flanaess and beyond. Lost Caverns of Tsojcanth, Iuz the Evil, Vecna Lives, White Plume Mountain, etc. : Vampires aren't as prevalent n Greyhawk, and that's a relief since powerful undead are in such numbers. The vampires we do see such as Kas, Drelnza or Maskelyne could definitely spread their kind if they chose to. I may explore that possibility later. Age of Worms, Greyhawk Boxed Set, Greyhawk Ruins, City of Greyhawk Boxed Set: As I demonstrated in my zombie outbreak article, Kyuss alone has the chops to spread undead across the continent. There are other deities besides Kyuss, Vecna and Iuz doing this. Nerull the acutal god of death has followers everywhere like the Horned Society, the North Province and hiding in places like the City of Greyhawk and Greyhawk Ruins. Other gods of evil like Incabulos surely has undead components, Hextor god of war is responsible for the creation of the animus. Then there is Wee Jas, goddess of death and magic. Luckily she doesn't seem concerned with undeath. Other minor mentions to make; there is haunted hills and graveyards galore in the Flanaess. Ghouls worshiping Yeenoghu are known. The Ghost Tower of Inverness is particularly grim. And I'm not even prepared to speculate on undead in the Temple of Elemental Evil and Maure Castle. Basically, the World of Greyhawk is one more major deity or lich away from being the World of Darkness (trademark). Throw demons, devils and Tharizdun cultists into the mix and this setting is much, much, MUCH more evil than Ravenloft. 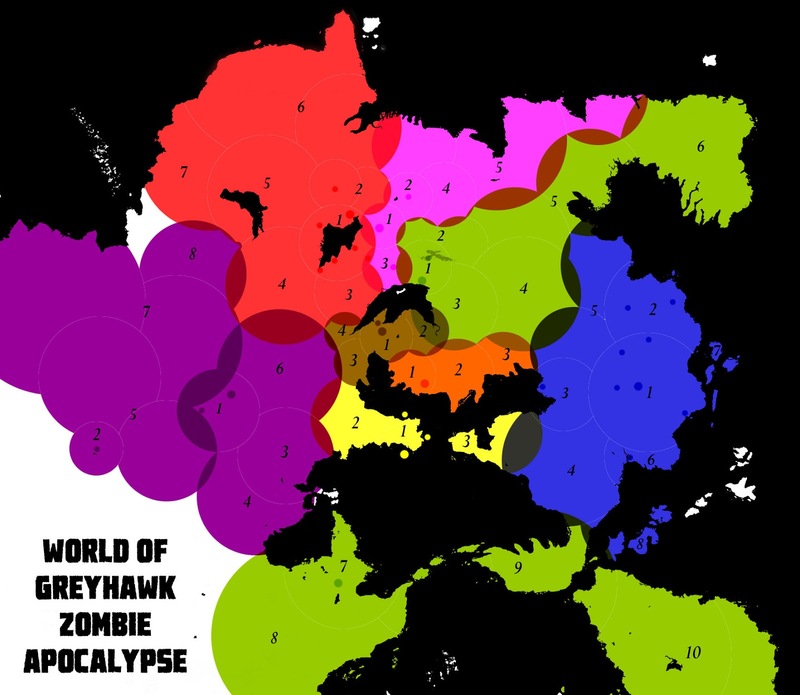 "Spread & Notation maps to keep track of influences, religion, alignments or that pesky undead infestation..."
When I read that I just had to make a zombie infestation map for Greyhawk! One note, this map represents no particular year in the Greyhawk timeline, or perhaps it's a mashup of all the events from 576-591. Either way, what the map below represents is a combination necromantic-viral undead breakout. Figure out how this works in your own game, for now witness the end of the World of Greyhawk as we know it. Warning this is a long article with sources, but it'll be worth reading. Enjoy! 1. War with Furyondy has escalated. In response to the Flight of Fiends, the Old One calls for the creation of more undead armies to fight for him. However, Iuz's Boneheart wizards and priests do too good of a job and soon whole human and humanoid populations are infected around Lake Whyestil. 3. Rampant combat and disease breaks the defensive positions of Furyondy. Clerics and paladins are overwhelmed and the Ferrond people are pushed to the Nyr Dyv where Willip soon becomes a graveyard as refugees flee by boat or barge to Greyhawk and Dyvers. 4. The wide plains of Furyondy, Veluna and the vast Vesve Forest are no shelter as the undead plague spreads out west and south until encountering another zombie outbreak. The undead follow the Velverdyva River and overrun the unsuspecting High Vale. 5. The hardy folk of Perrenland find some respite in their high mountain homes but their hidden realm and Lake Quag is surrounded eventually. From there, the infestation wanders out on the nomad plains unabated. 6. The dour people of Blackmoor, used to dangers, aren't ready for the plague of zombies emerging from the Cold Marshes and out of the Burneal Forest. Zombies wander far afield until they come to the Land of Black Ice to linger and mutate again, while some roam the Dramidj Ocean coast. 7. The fearless Tiger Nomads are no match for these virulent monsters. The advance of undeath does stop momentarily however at the borders of Ekbir. Divine intervention perhaps? 2. Undead rise up from ancient cairns and advancing zombies infect unsuspecting Duchy of Urnst until they clash with waves of undeath from the south and east. 3. The plague turns down the Wild Coast and into the forest where roused undead from the Temple of Elemental Evil adds more fuel to the apocalypse. 4. Fleeing refugees from the north cross into Dyvers and are dismayed to find it also overwhelmed by zombies. The Rhennee stick to their barges and dare not go ashore at dark. 2. Undead hordes break through the Abbor Alz to spread uncontested throughout the Celadon Forest and Gnatmarsh where they mutate clouds of insects into carrying the zombie plague. 3. The wave of zombies soon reach Nyrond's coast, taking port towns already swelling with fresh bodies trying to escape by boat across Relmor Bay. 2. The bloated zombie horde continues raiding the coast, crossing into the Principality of Ulek and the Wild Coast until encountering other undead outbreaks nearby. 2. In conjunction with the apocalypse, the ancient Flannae graveyard of Nerulls Bane rises to unlife as one horde and marches forth from the woods into the open plains once again. 3. Undead armies from Dahlvier's County funnel between two opposing hordes chasing hapless humans toward the Nyr Dyv coast. Their undead ranks are swollen by more animated skeletons warriors harvested from the battlefield of Steelbone Meadows. Lucky survivors cross the water to the Isle of Walworth where the city of Admundfort becomes a last bastion of civilization. 4. Undead spread eastward through the woods and hills, easily turning the unprepared Rovers of the Barrens. 4. With no geographical defense, the horde of Kyuss spreads into northern Nyrond unchecked, swelling their numbers within weeks before being turned north by competing outbreaks to the east and south. 5. The wormy horde follows the flight of humankind into the closed lands of the Duchy of Tenh and the Theocracy of the Pale. where even the faith of Pholtus is not enough to stem this tide of evil. After their populace was subsumed, the plague horde crosses into the realm of the Frost Barbarians who brazenly try to fight back rather than head for the Corusk Mountains for safety. 6. Seeing the fall of the Fruztii, the Snow Barbarians flee into the highlands or out to sea, but are hunted down by Kyuss' monstrous undead. The Ice Barbarians are caught between two outbreaks and can only flee by ship across the Solnor Ocean to parts unknown. 8. The worms of Kyuss spread into the deep jungle and the tropics beyond the scope of sages. 10. The zombie outbreak continues across the Tilva Strait directed by the will of Kyuss. The jungles of Hepmonaland become fertile new ground to harvest more spawn of Kyuss, uncontested by any other outbreaks save a minor strain of zombies called the Ravenous. 2. In the North Province, a priest of Nerull named Delglath is among those turned into an animus by Ivid. Driven by contempt for life, he encourages the spread of the zombie plague beginning in his home of Rinloru and then out in all directions including the capital Eastfair. 3. To the east, animus warlord Duke Szeffrin was already installed in the war against Nyrond. The animus mutation into viral zombies affected the Duke's cohorts, bringing the ruins of Almor into conflict with friend and foe alike. 4. 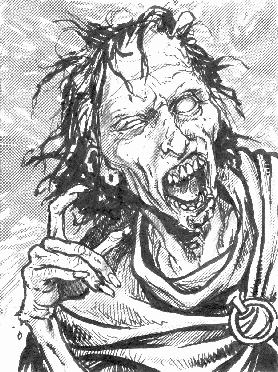 Vast populations of zombies pushed southward into the lands of the South Province, Sunndi and Idee. Even the dwarves of the Iron Hills were not immune to the bite of these limitless hordes. Only the Vast Swamp stops their advance. 5. Undeath continues to spread through the Adri Forest and driving north to quickly assimilate the humanoids of Bone March before clashing with the Kyuss outbreak. 6. Medegians cower toward the coasts, some escaping by boat at Pontylver but the Holy See is absorbed within days of the outbreak from the ruined capital Rauxes. 7. The isles of the Sea Barons were not immune to the reach of the Animus outbreak. Foolish captains brought too many refugees across who were already bitten and ready to turn, before they realized the danger. The small Barony was quickly lost. 8. Likewise the flotillas of refugees from Pontylver and Dullstrand crossed to the Lordship of the Isles bringing more infected. The largest isles of the Duxchaners were lost eventually though swift intervention by elven warships from the isolated Spindrift Isles manage to destroy any more plague ships who try to cross the Aerdi Sea. 1. The perfect storm of the zombie apocalypse begins in the southwest as the archlich demigod, Vecna returns again, this time sending out virulent undead from the Rushmoors. Furthermore, swordwraiths march out of the Stark Mounds upon the call of Vecna. Their slain rise as zombies adding to the undead hordes. See: Living Greyhawk Gazetteer. 2. Vecna teleports west into the Dry Steppes. to the stone circles of Tovag Baragu. As the world rages against the zombie outbreak, he opens a gate to his demiplane of Citadel Cavitius and a new horde of zombies marches out. See: Vecna Lives! 3. The Sheldomar Valley is swept by masses of zombies. Even the Knights of the Watch cannot stem the tide once the plague reaches their cities including the port of Gradsul. Many flee across the Azure Sea but everywhere they land they find a new outbreak. 4. The Hool Marsh slows the horde but Vecna's outbreak soon emerges with additional zombie lizardmen into the landlocked Yeomanry and upon the Hold of the Sea Princes where their captains flee on numerous vessels to the neighboring isles and farther out. Only time will tell if the isles hold out. 5. The Plains of the Paynims and Ull are overrun by the second Vecnan outbreak from the south. Many nomads try to out-ride the shambling hordes by travelling west and beyond the Flanaess. 6. The outbreak claims the peaceful satellites nations of Keoland and the elves of Celene are never heard from again. The horde pushes into Veluna and against the Iuz outbreak. The high priest of Rao prays for another miracle and is not answered this time. 7. The Baklunish plains are ravished by the zombie hordes taking the civilized realms of Zeif and countering the Iuzian plague in Ket. Many flee across the ocean to the island domains. 8. The Vecnan outbreak swallows defenseless Tusmit yet is stopped cold at the borders of Ekbir. Is it Istus or Al'Akbar's work? With the zombie apocalypse conquering Eastern Oerik, how long can the Caliph, Xargun hold out as all remaining survivors crowd into his small safe zone? So last night I decided I'm 99% committed to going to Gary Con this year at Lake Geneva, WI. For someone who is used to the bustling crowds of Gen Con each and every year, I have to admit I'm nervous about going to this one mainly because I don't know what to expect. What I do expect is to see a lot of old school people there, which is why Gary Con was started in the first place. If you are an old guard D&D and Greyhawk gamer like myself, check out the Special Guest list. It's an all star roster and you definitely don't get this many big industry names at Gen Con anymore. I am most excited to try and meet Allan Hammack, Ernie Gygax, Bruce Heard, Frank Mentzer, James Ward and Skip Williams. I also hear through the grape vine that Darlene (yes that Darlene) will be there. Wizards of the Coast had a huge presence there last year and I was slightly disappointed to see them scale back their staff's attendance seeing as though they are now skipping Gen Con routinely. However, head honcho Mike Mearls and Chris Lindsay are going to be there. Mike is supposedly running a celebrity Greyhawk event, using a dungeon from his home campaign. Plus, Chris is listed as heading up an event that runs Tomb of Horrors and the Hidden Shrine of Tamoachan for convention play for the first time in ages. I can only assume these will be the 5e adaptations that will be coming out in Tales from the Yawning Portal the month following. So yes, Greyhawk will have a HUGE showing at this convention. I hope to see alot of my friends from the Greyhawk community there as well, especially Scott Casper author of our Castle Greyhawk webcomic. Back in December I was musing over a poll I ran about favorite megadungeons. The results were skewed I believe, but in the end I surmised a new megadungeon was long overdue for Greyhawk. Then, two things happened in that time period that made this topic very timely, one Wizards announced Tales from the Yawning Portal. 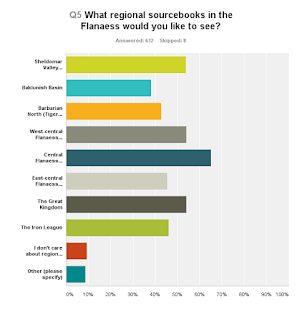 Second, Greyhawk Grognard ran a more in depth poll about what we as fans want out of the future of Greyhawk. When asked what type of products and adventures people wanted, dungeoncrawls or a combination thereof polled near, or at the highest. Face it, that is what Greyhawk is best known for, so why not build on that rather rehash the same 4-5 loved, but tired old ruins? My initial gut reaction for the placement of a new megadungeon was in a forest. However, after doing a quick study of dungeons and ruins in publication, I found that all the major geographic areas were fairly represented after all. For example, the Temple of Elemental Evil could be considered in the forest. Okay, the second consideration was where on the continent? If we go by Greyhawk Grognard's poll, most people like the Central Flanaess yet as we all know the top three megadungeons are already there (Greyhawk Ruins, Maure Castle, ToEE). Top four if you include White Plume Mountain. That's not to say the other areas of the Flanaess don't have dungeons, but not true megadungeons. The next three highest areas in terms of fan popularity are all "light" on major dungeons merely due to their high populations in my opinion. These are areas with more political and military milieus, but nonetheless cover expansive areas that could host a megadungeon. The areas that lagged in popularity are more remote areas of the Flanaess, yet they do already have a vast number of large dungeons or ruins, either in publication (such as Lost Caverns of Tsojcanth) or not. This all of course ignores the unknowable abundance of regional Living Greyhawk dungeons that were probably produced for several years; plus the greater weight of Greyhawk history and how to tie a new megadungeon into it. So where to place a new megadungeon, that fans would actually consider using it? 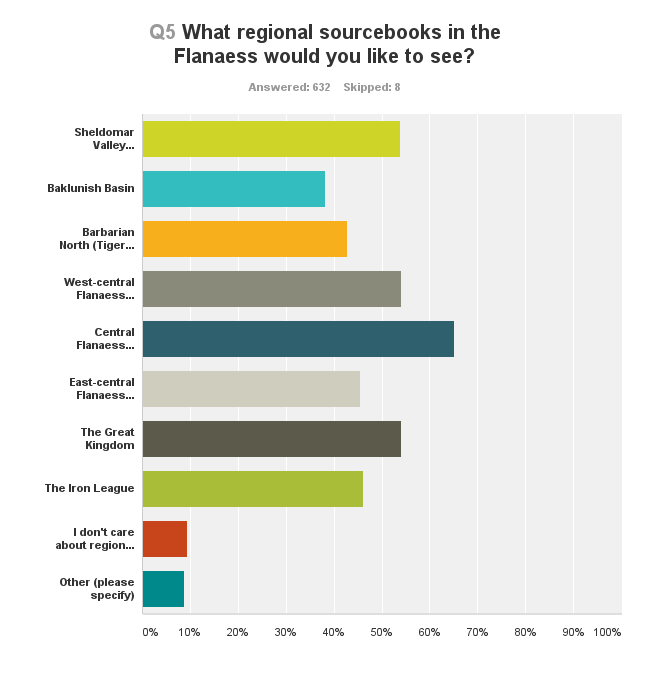 The answer perhaps lies in another section of the GG poll asking what 'other' areas fans would be interested in? The Sea of Dust blows all other Oerth places out of the water. While that makes a ton of sense from a historical standpoint (The Rain of Colorless Fire did indeed create hundreds of ancient buried ruins), what it lacks is a staple of megadungeon and that's the staging area. Once you go to the Sea of Dust that's it, there is no turning back, you're on your own. This is why most of our beloved dungeons are in the central lands. So with that in mind I propose the next best thing, and that is to back it up a bit and place a megadungeon in the Dry Steppes along the mountains. This area is a highly undeveloped yet hospitable region, which is historically ancient like the Sea of Dust, plus it has a suitable staging area for a megadungeon campaign, Ull. Bet you didn't see that coming! 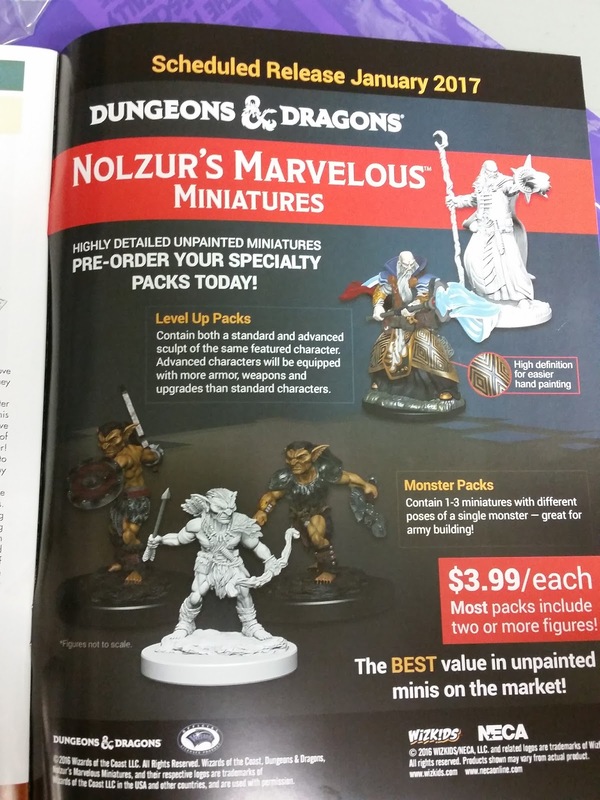 Here is an interesting ad I saw in a magazine the other day for something new from WizKids called Nolzur's Marvelous Miniatures. You'll probably know why this caught my eye. Nolzur is a Greyhawk wizard personality, perhaps painter, known for his magic item, the Marvelous Pigments. And no I won't rave about Greyhawk being misused, this is a very obscure character. That makes this miniature line cleverly titled in my opinion. The link will show you these hyper detailed unpainted minis which I am keen to find out if they are like the finecast resin that Gale Force 9 uses for their official D&D minis or are they some kind of 3D printed models? These minis are all generic class and monster types unlike GF9's models which is great for DMs or players who need a specific mini and also paint. Also check out Miniature Market for pricing on preorders. What is interesting about these minis is the "level-up packs" which are two minis of the same class, a beginner and advanced version. This is a nice concept, again for those who want a character mini they can grow into. 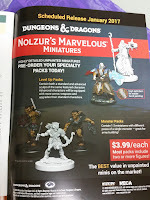 I've kind of got out of painting minis so I doubt I'll collect these, but again I saw this ad and just had to share. Enjoy! My friends will likely hate me for ranting about this again, but here we go. Today Wizards announced their newest publication for April, an anthology of 7 classic adventures updated to 5E, Tales from the Yawning Portal. The infamous entrance to Undermountain is the framework for this collection of dungeons from "other worlds" if by other worlds they mean mainly one: Greyhawk. Now I am sure this book is going to be gorgeous; a must have for the adapted monsters and magic alone. Every book Wizards has put out for 5E has been marvelous in my opinion. My rant though is about the treatment of Greyhawk material yet again. Could this book just as easily be called Tales from the Green Dragon Inn? (Thanks Jayson) You bet. But no, Forgotten Realms is and always will be the D&D flagship for sales. So even though only one of these modules, Dead in Thay is a FR original, we must assume the bartender and patrons of the Yawning Portal must be so bored with their own classic dungeon the Ruins of Undermountain, that four out of seven of these "tales" (six out of nine if you count Against the Giants is a trilogy) comes out of Oerth. Sunless Citadel and Forge of Fury are rightly generic and given they came out in 3E could fit anywhere. Okay, what is wrong with some classic Greyhawk modules getting remade in 5E and stealthed into a Forgotten Realm covered book? I mean, something is better than nothing right? Not if you've been following the game for an appreciable amount of time. First, these same 3-4 adventures came out in 1E AD&D and have been revised for nearly every edition, including yes, 4th Edition. It's like Greyhawk is stuck in a perpetual loop. Someone aptly said on the ENWorld forums, Wizards is acting like George Lucas revising and reselling the same Star Wars. My bold prediction recently was Wizards would do Expedition to the Barrier Peaks, but I should've went with AtG, which I thought unlikely since giant themed Storm King's Thunder had just been released. In hindsight, I guess Barrier Peaks would've been too much work since no one has already updated it to this point. What else is wrong with Greyhawk in a Forgotten Realms cover? Aspiring writers at WotC's own DM's Guild are probably salivating to get Greyhawk on the list of approved worlds along with FR and Ravenloft. Once that happens we won't have to worry about Wizards adapting anything Greyhawk, cause legions of fans will do the heavy lifting. Yet, I'm sure since Tales is nominally set in FR and is only referring to "other worlds" this won't qualify. Why hold back Greyhawk? Cause it's a gold mine for nostalgic pieces like Tales or easter egg material for books like Curse of Strahd. And people like me, sigh, will always bite. This leads to my final point and that is misrepresentation. D&D worlds like Oerth and Faerun have always had a plane-hopping relationship but this has usually transpired in a go-between fashion, like Dragon Magazine's Wizards Three articles. or the Planescape setting, or Spelljammer. The cross-overs tended to not wholly subsume another world's content though. That said, this more direct instance still makes perfect sense to me, but I wonder in a conspiratorial manner, if the same could've passed the planning stages if the Green Dragon Inn was used to present a series of modules set in Faerun and Eberron instead. One could then say why use Greyhawk as a delivery, just publish a series of Faerun modules in one book and be done with it; why take the POV of another world? Tales is not explicitly a FR book, there is no mastheads for worlds anymore, just D&D. Yet burying Greyhawk content inside a FR themed cover still has the same effect of pushing the IP toward a generic pop-culture identity and the setting itself further into obscurity. The blog neuronphaser has been busy with a series on 5E Factions of the Flanaess. Follow the links to read synopsis of the previous installments. The last two articles in the series covers the secretive Scarlet Brotherhood and a set of Cabals, or sub-factions within this organization, including the Splintered Mind, a psionic faction in the Brotherhood first seen in Dragon #281. The other faction is the lore finding, treasure hunting, tomb raiding Seekers of the Arcane whose members once included the likes of Mordenkainen and the Eli Tomorast! Special thanks to Tim Bannock at neuronphaser for these well thought out and sourced Greyhawk materials.